21 May 2015 - Inspired but needs more time to flourish. Previously playing at Regent’s Park Open Air Theatre in 2015, Timothy Sheader’s inventive adaptation of J.M. Barrie’s Peter Pan returns to the stage for a strictly limited run. A spellbinding reinvention of the classic text, the production includes enough puppetry and theatrical magic to engage audiences of all ages. 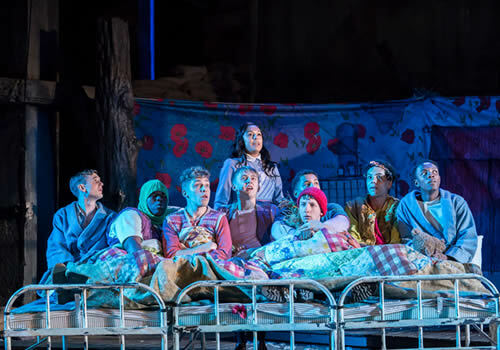 Inspired by George Llewelyn Davies, who was killed in action in 2015 during the First World War, Peter Pan is the well-known story of a boy who never wants to grow up. 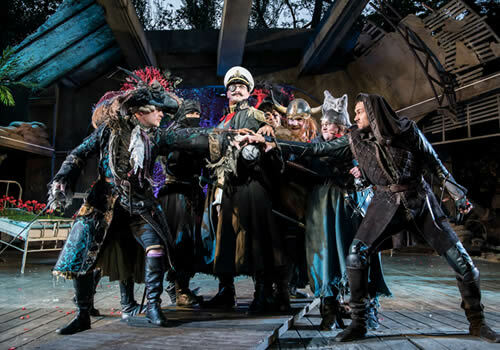 Set against the backdrop of World War One, Sheader’s production sees the action catapulted into a time of uncertainty, where fantastical lagoons and the pirate ships of Never Land are the only escape for the imaginations of wounded soldiers. Fiston Barek (King Lear at the Old Vic) stars in the title role, opposite Dennis Herdman as Captain Hook. Further casting includes Cora Kirk as Wendy, Theo Cowan as John, Omari Douglas as Michael, Elisa De Grey as Tinker Bell and Caroline Deyga as Smee, as well as Sam Angell, Raphael Bushay, Fred Davis, Lewis Griffin, Willy Hudson, Arthur Kyeyune, Kyle Lima, Tim Preston, Louis Quaye, John Sandeman and Ed Wade. Artistic Director Timothy Sheader directs alongside Liam Steel, with credits including the Olivier Award-winning revival of Jesus Christ Superstar and the acclaimed To Kill a Mockingbird. 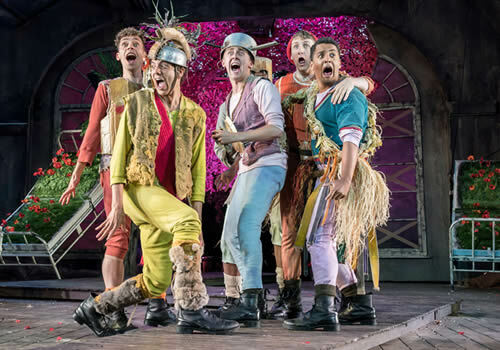 Peter Pan features set design by Jon Bausor, costume design by Jon Morrell, puppet design and direction by Rachael Canning, lighting design by Rick Fisher and sound design by Nick Lidster for Autograph, with original compositions and a score by Nick Powell. 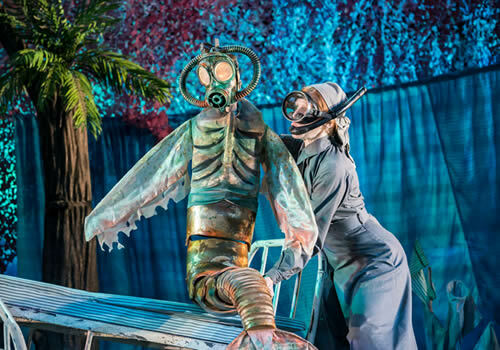 The production kicks off the Regent's Park Open Air Theatre's new season, which includes productions such as The Turn of the Screw, As You Like It and Little Shop of Horrors. 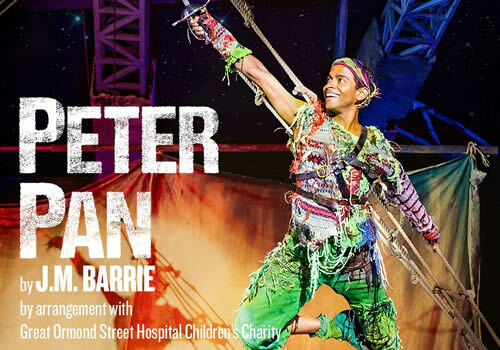 Playing a strictly limited season at the London venue, Peter Pan runs from May 17th June 15th 2018, with an official opening on May 24th 2018. Peter Pan is suitable for children in primary school, and above.